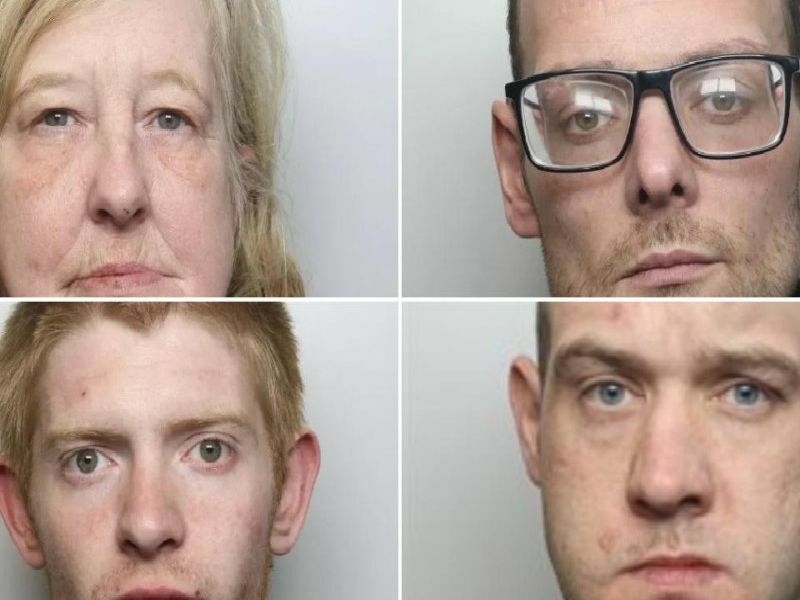 Waszkiewicz, 40, of Wolfa Street, Derby, was jailed for 15 years after being found guilty of the manslaughter and robbery of a 100-year-old Holocaust survivor. O'Connell, 28, of Fairfield Road, Buxton, has been jailed for 26 weeks after admitting three thefts, five frauds, handling stolen goods and twice failing to surrender to custody. Cotton, 33, of Stratton Road, Bolsover, has been jailed for 18 weeks after he admitted drink-driving, driving without insurance and driving while disqualified. Newton, 48, of no fixed abode, has been jailed for 12 weeks after admitting theft. The offence was committed just days after he was released from prison.